Did you mean deep fryer oil container? 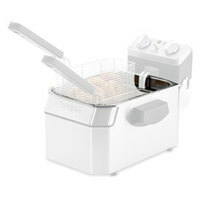 Keep hot oil contained in a safe and approved unit with these deep fryer oil containers. Designed for use with countertop fryers, these containers reduce the risk of dangerous spills. 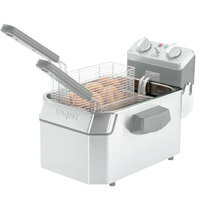 Keep your kitchen staff safe, and maintain the overall quality of your fryer, as well. 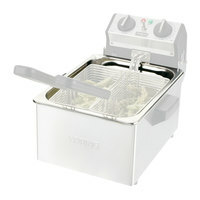 Available in variety of sizes and capacities, you’re sure to find the right deep fryer oil container to fit your existing unit. Use these to either replace a worn or broken container, or stock up on them for future use. All our deep fryer oil containers are also durably constructed to withstand continuous use in your commercial kitchen.